Rent Our Florida Beach Condo For Your Vacation! It's all about the view! The view from this vacation home can't be beat! 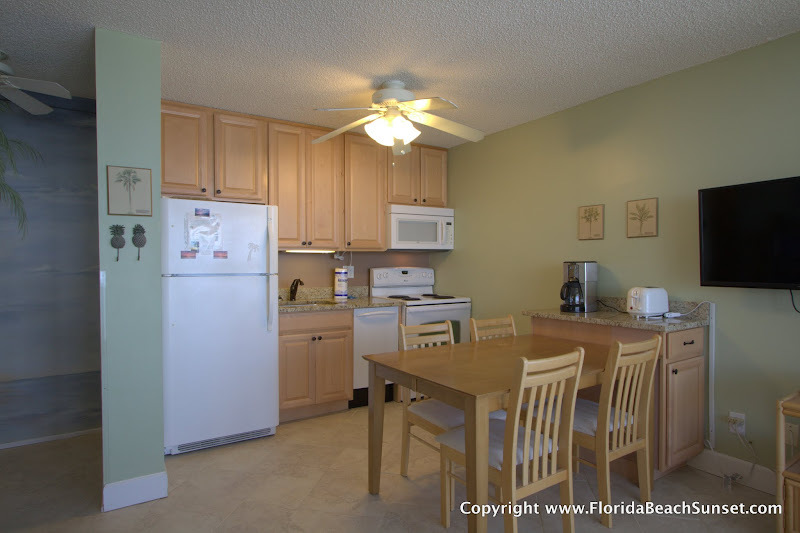 You have direct views of the Gulf and the beach from every single window, and that's going to give you memories of your time in Fort Myers Beach that you will talk about forever. 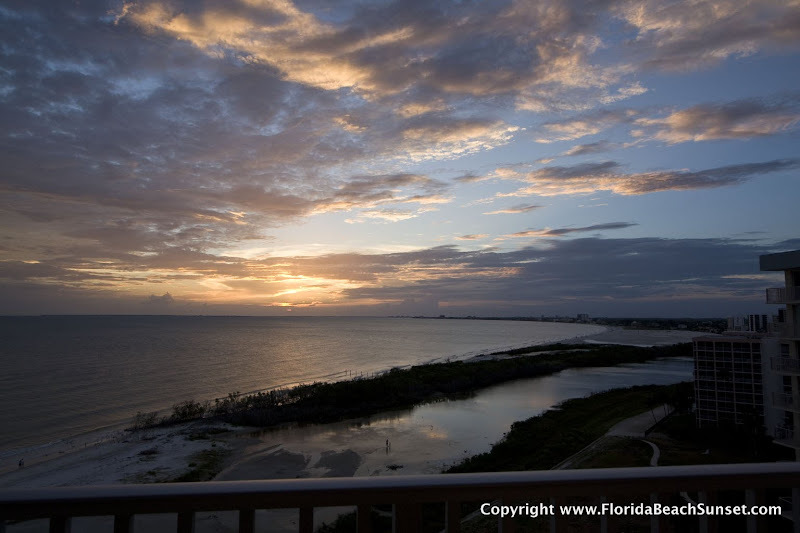 Our non-smoking corner unit condo is perfectly located to show you beautiful sunsets year around. And, being on the eleventh floor gives you a bird's eye view that you just can't get from the lower floors. Our home has been professionally decorated with a tropical theme, and the use of large wall mirrors brings the tranquil gulf views into all areas of the home. To release your inner chef, the kitchen is fully-equipped with new appliances. There is sleeping for 1-4 people on the king-sized bed and the queen-sized sleeper sofa. There is a sliding door that you can close between the bedroom and the main room for privacy, if needed. All linens are provided except for beach towels. Our home has multiple flat screen TVs for your viewing pleasure. There is a 40" flatscreen TV with glorious 1080p high def in the living room, and there is a 26" flatscreen TV available in the bedroom so that you can watch TV as the waves gently rumble in the background. Our home also has Wi-Fi wireless internet available in the home. Most of the homes in our condo complex don't actually have WiFi in the home itself. There is also WiFi available downstairs in the lobby area, which you are free to use. The open air balcony/lanai invites you to relax as you watch the dolphins, many coastal birds, fantastic sunsets, or just listen to the rhythm of the waves. We are located on the quieter south end of Fort Myers Beach on the "World's Safest Beach"; shallow waters that gently slope into the Gulf of Mexico, with virtually no undertow during normal conditions, makes it great for swimming as well as shelling. We really enjoyed staying in this particular unit. The view was beautiful and the condo was decorated nicely. The owners were good about getting us proper information prior to our arrival and following up on our stay to make sure everything went well. This is a nice unit for a couple. Our home sits on 10 acres of beautiful tropically landscaped common areas which provides 4 clay tennis courts, a large climate controlled heated pool, shuffle board, gas BBQ grills, as well as many sunning areas with lounge chairs; there is plenty of room for kite flying on those breezy days. Washing machines and dryers are also provided on site for your convenience. the dishwasher, and the flat screen TV! If you want to eat out, there are many great places to dine right across the street within a short walking distance. Other things close include a bank, boutique and gift shops, a large drug store with many grocery staple items, post office, marina with boat rentals, an ice cream shop and more. There is a dinner movie theater just a few blocks away. The island bus trolley can be caught across the street to take you to the North end to "the action" of Time Square or Bowditch Park for only a small charge. The same trolley also goes south to Lovers Key State Park and Bonita Springs. Our condo is very clean and comfortable with the home-away-from-home feel. 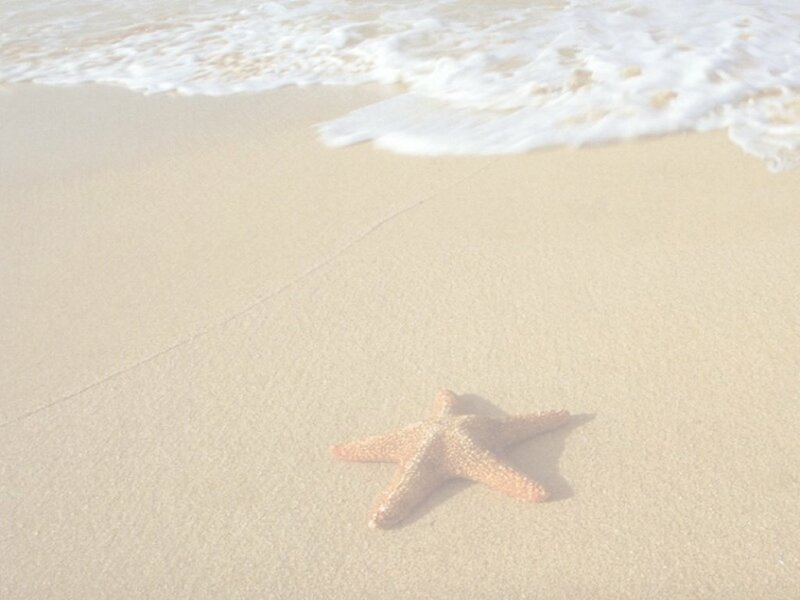 We have a professional on-site caretaker, so you can have a worry free, relaxing vacation. Whether you are a "snowbird" looking for a place to land, a "romantic" looking for that special place to propose marriage or enjoy a "second" honeymoon, or simply looking for a comfortable vacation home with miles of white sandy beaches and tropical breezes that will sooth your soul, this is your ideal vacation destination. Give us a try and you will fall in love with our home!